The new Alex Valentino pedals are a mix of a classic design with modern technology. Alex wanted a clean, simple no fuss slimline plastic pedal and that is what we set out to create. 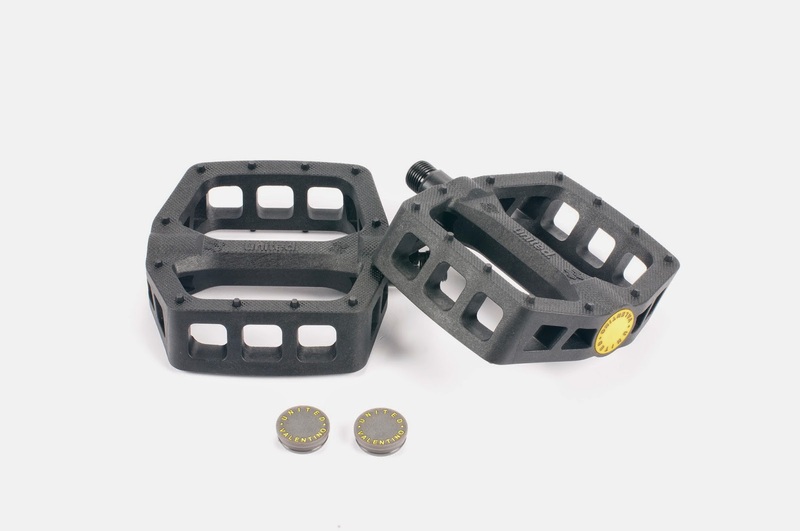 the nylon/fibreglass mix material enables us to keep the design slim and the strength up, a heat treated cromo axle, fine micro knurling surface and 12 hexagonal shaped pins each side keep these puppies grippy. 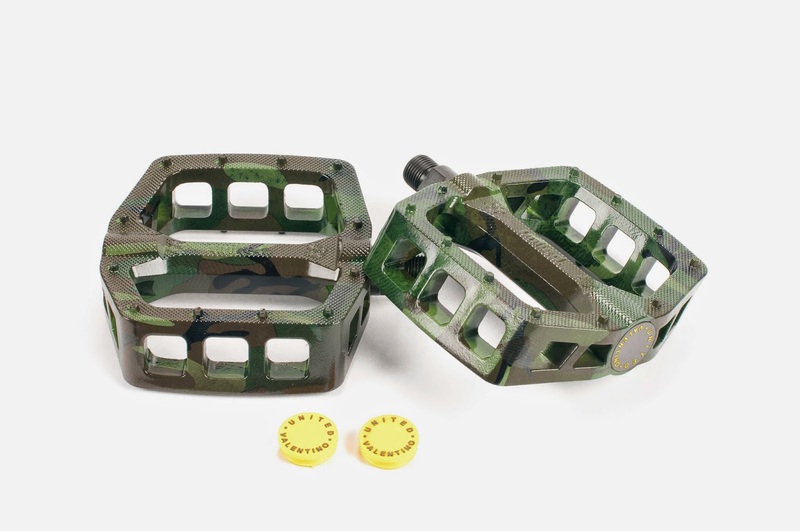 The United supreme pedals are made from a sturdy nylon composite with 9/16″ hardened cromo axle and just the right amount of grip to stop you flying off and damaging the crown jewels. 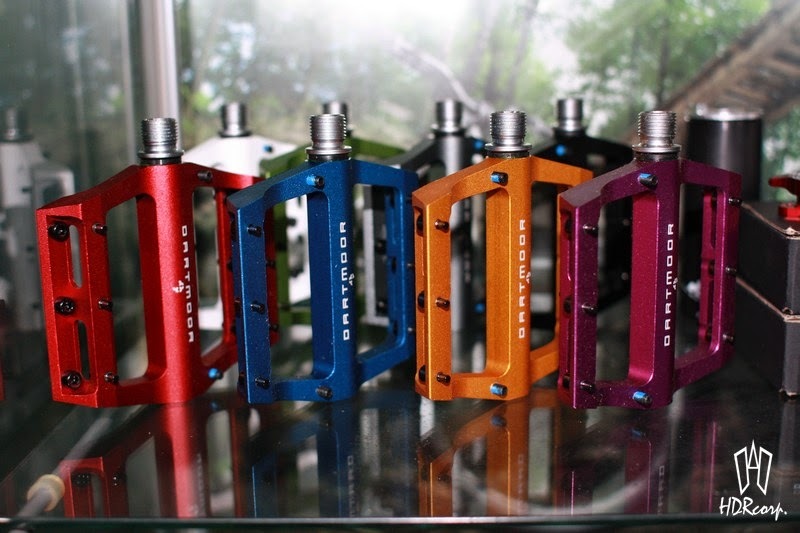 Ultra light pedals made of cold forged and CNC machined aluminium. Custom body shape with slim, flat profile. Cr-mo steel axle. 2 sealed bearings and DU-bushing for perfect and smooth rotation. They come with the extended axle to increase the Q-factor and riding comfort. Tightened with 15mm wrench or 8mm Allen key. Fevers have 8 black, removable pins per side. 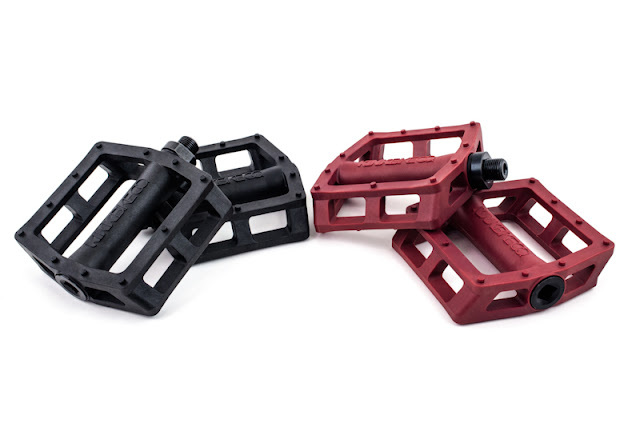 Lightweight alu die casted pedals with perfect grip and strong body design. Cr-mo steel axle. Sealed bearing and DU-bushing. 10 pins per side (6 removable). Available in 4 different colour options. 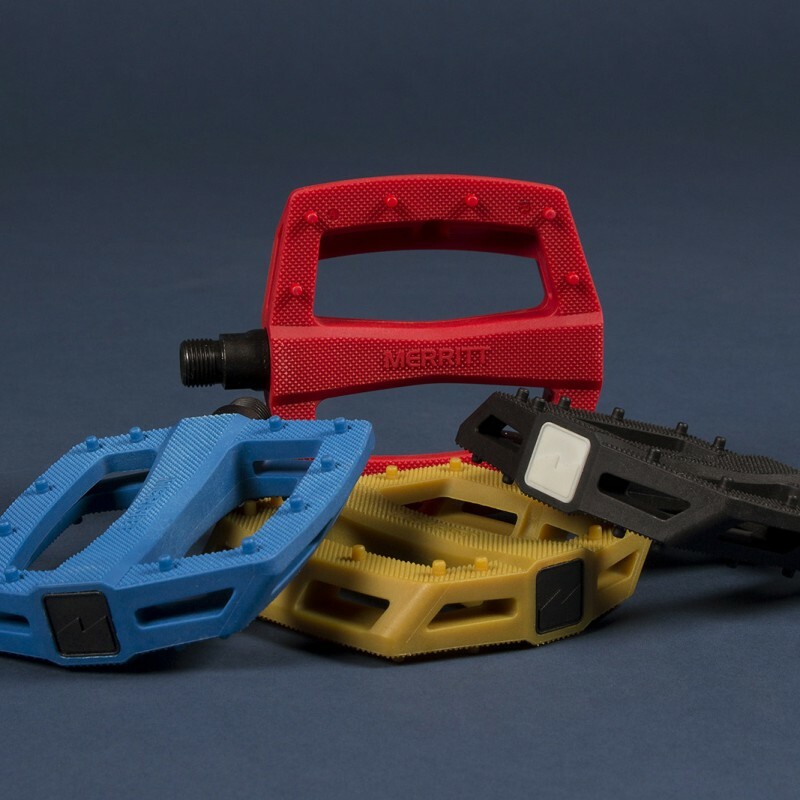 Lightweight alu die casted pedals with perfect grip and strong body design. Cr-mo steel axle. Ball bearings. 10 pins per side (6 removable). Why did we use sealed bearings in “meant to be cheap” pedals? Well, it is easier to change just the nylon platform rather than dumping the whole construction. With Candy Pros you can do it even while your pedal is installed in the crank arm! Just take away the broken platform and put on a new one. We will have separately platforms in a full range of colors. If you are looking for a good, long lasting lightweight set in an affordable price – go for them! Weight : 270g / 9.52oz. 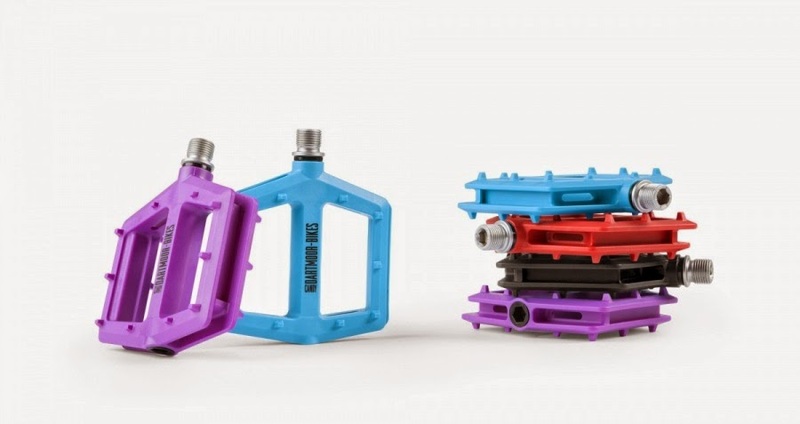 Lightweight pedals made of nylon. Cr-mo steel axle. Ball bearings. Knurled surface and 12 molded pins per side for maximum traction. 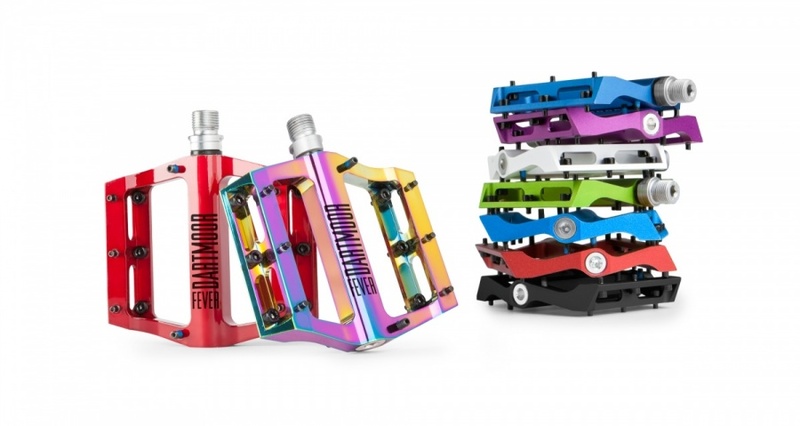 Ultra light pedals made of cold forged and CNC machined aluminium. Custom body shape with slim, flat profile. Cr-mo steel axle. Two sealed bearings and DU-bushing for perfect and smooth rotation. Fevers comes with 8 removable, black pins per side. 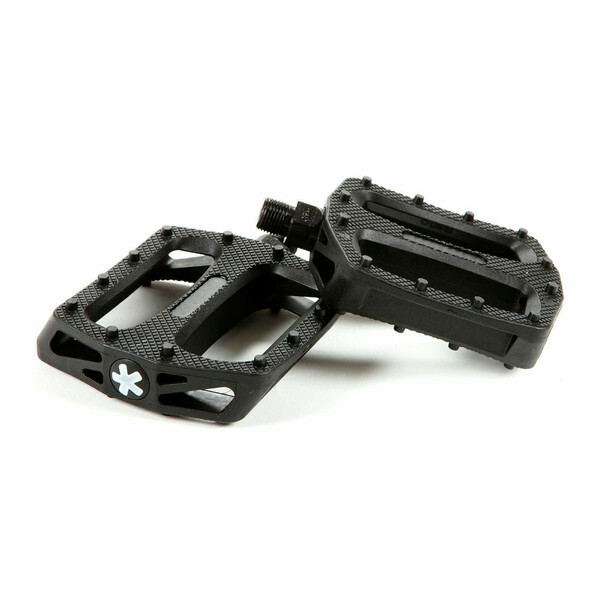 Classic and strong alu die casted pedals. Cr-mo steel axle. Sealed bearing and DU-bushing. 8 removable pins per side. INTENSE Tyres and Dartmoor Shine!